Award Winning Leadership And Experience! will exceed your real estate needs and expectations! United States, Chicago, Illinois and Chicago Western Suburbs. With recent Illinois Sales of approximately 22 million dollars, Linda is Rated The #1 Individual Agent in Listings, Sales Production, and Overall Performance for 2013 at REMAX. With over 118 Best Top Agents, REMAX of Naperville is rated Number One in Illinois in Closed Sales and Listings Volume for the past years. Linda Price has achieved recognition from REMAX as one of the Top 10 Agents in Illinois & Chicagoland. 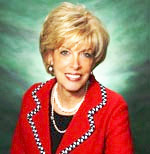 Linda Price has been recognized by REMAX with the Elite "Life Time Achievement" Award!